Limited Registration Limited Registration means no breeding rights. Breeding rights for Boston Terriers is $500. Sales Tax Sales tax is charged to customers with a Texas address. The puppy deposit is $400 and is NON-REFUNDABLE. To put a deposit on a puppy, go to www.PayPal.com and click on Send Money. Type in the email address mayra@bremerkennels.com and then put in $400 for the amount. Or, call Mayra at 817.270.5948 to do a credit card transaction over the phone. Please confirm by phone or email that the puppy is still available right before you send us a deposit. Once the deposit is made, the puppy will be reserved for you. Send us a message with your name, address and phone number, and specify the puppy you put a deposit for. You will receive a copy of the Bill of Sale and Health Guarantee in the mail or by text. Local Delivery is up to 50 miles for $100. If your house is farther than 50 miles, add $1 per mile. Tax will be charged for local deliveries. You must pay for delivery ahead of time. 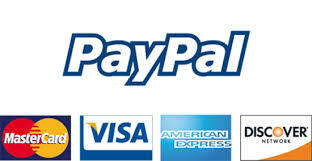 You have the option to use Pay Pal or credit card over the phone. Due to the change on airline regulation, we are no longer able to ship Boston Terriers in the cargo area of the plane. We fly the puppy to the customer´s closest airport. The puppy is flown in cabin in a soft kennel. The puppy must be 8 to 12 weeks old. The fee to ship a Boston Terrier anywhere in the United States is $700. If the puppy is older than 12 weeks, the only available option is ground transportation. We want to keep the shipping fee as low as possible, but the new airline regulation makes it impossible for us to keep the rates low. You are welcome to email us to be included on our Waiting List. If you put a deposit down, you have first choice on a puppy once it’s born. Like Bremer Kennels on Facebook and when the puppies are born or the pictures are updated, it will show on your timeline. You can always email me at mayra@bremerkennels.com or call me at 817-270-5948 to inquire about future litters. It is our mission at Bremer Kennels to provide our customers healthy and beautiful puppies.